We arrived in Bland, Virginia ahead of the storm Friday night. But we didn’t escape it. As we prepared to grill our dinner the rain blew in and we dashed to the back porch to escape its fury. However, I couldn’t escape the realization that it had been nearly three months since we had managed to get back. We spent New Year’s Weekend at the cabin, then drained the water lines. My husband and son had been back to the farm to get some alfalfa hay out of the ‘barn’ for the horses, but no one had been to the cabin. We didn’t know what to expect. Would there be damage from power outages? But it was as though we had just returned from a vacation. No pests, no damage, nothing unwelcome whatsoever. Had it really been January 2 when we shut the door behind us last? The cold rain – cold only by our warm North Carolina standards – beckoned us to build a fire. We have a pit that we can use on the deck and pulled it around to our little back porch haven. Of course, we immediately began to make a list of all the things that needed to be done – putting another coat of stain on the deck, painting the trimwork, putting up gates at both sets of steps to the front and back porches so we can bring the puppy, etc. I won’t bore you with the never ending ‘to do’ list, but it often hampers the spirit of getting away if what the mind is focused on are the things that need attention. That’s one thing the rain is good for. It delays the chores until a sunnier forecast awaits. And then we got the weather updates that warned of horrible storms headed our way, and we headed home, cutting our stay a little short. We waited for a break in the clouds and ran for it. Apparently, we arrived home in the nick of time. Dark clouds loomed overhead and we rushed to take care of the animals before the rain poured down. We weren’t prepared for what did pour from the sky. It started as rain and then got louder as the lightening and thunder cracked the sky open and hail poured from the heavens. It beat at the windows and the roof and the vehicles that were outside of the garage. It bounced on the deck and the sidewalks and I tried to snap a few pictures. My husband stood at the door and looked out at the pea sized ice balls with his arms crossed over his chest. “This is really weird,” he said in a monotone voice. So I guess you could say our weekend could best be described as hail and high water. How was yours? Yes, hail and high water, indeed! That can be scary with all the weird and dangerous weather flaring up across the country. We’re having soft rain at the moment. Lots had been promised starting yesterday but it’s been a little underwhelming. I’ve been doing the exciting (ta-dah!) taxes for the weekend. Less damaging than anticipated. By the way, do you have some kind of fire brick or something under your little deck fire? We personally have burned a hole through a deck, and tourists up here famously set the decks on fire BBQing, or dumping “cold” ashes in the woods. 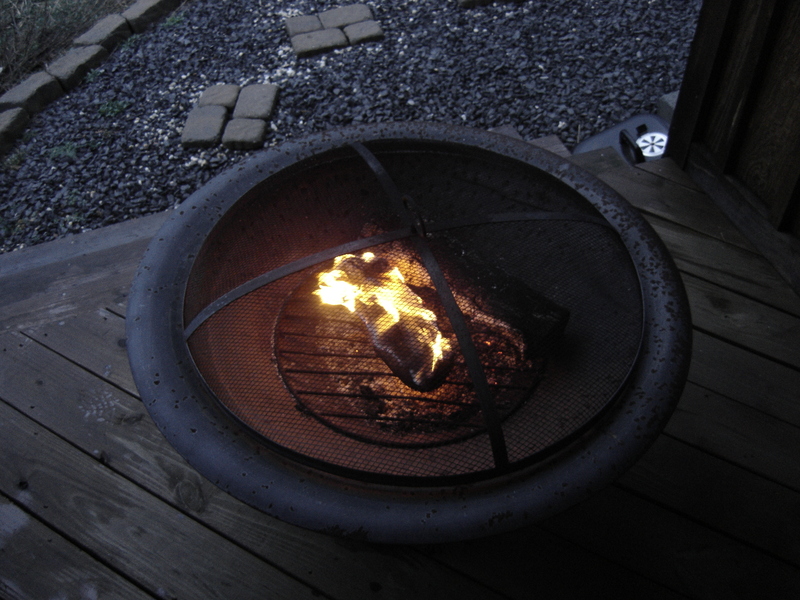 Yes, our little fire pit has a stand up underneath it that you can’t see in the picture. I’ve known people to dump ashes into a bag and set it on a deck, causing a fire. Yikes. Doing taxes huh? A different kid of (hail)! Sounds like a beautiful place to retreat to, despite the rain. It is indeed if we could just not focus on all of the things that need doing. The weather certainly had it in for you, in fact it followed you home. The weather was definitely not my friend this weekend. But it’s clearing up now as well. The weather stayed ferocious the entire weekend – so we didn’t get any chores taken care of – except the basic laundry and such. But that’s alright. There will be another nice weekend for those things. What wonderful property you have. It sounds so far away and fresh. I have never heard of alfalfa hay though – is it like alfalfa sprouts that you get in the supermarket? Do horses eat that? Hail is awesome. I love hail! Alfalfa is a three leaf high protein crop that is made into hay especially for horses. It is sweet and delicious. They eat it like candy and it smells wonderful. 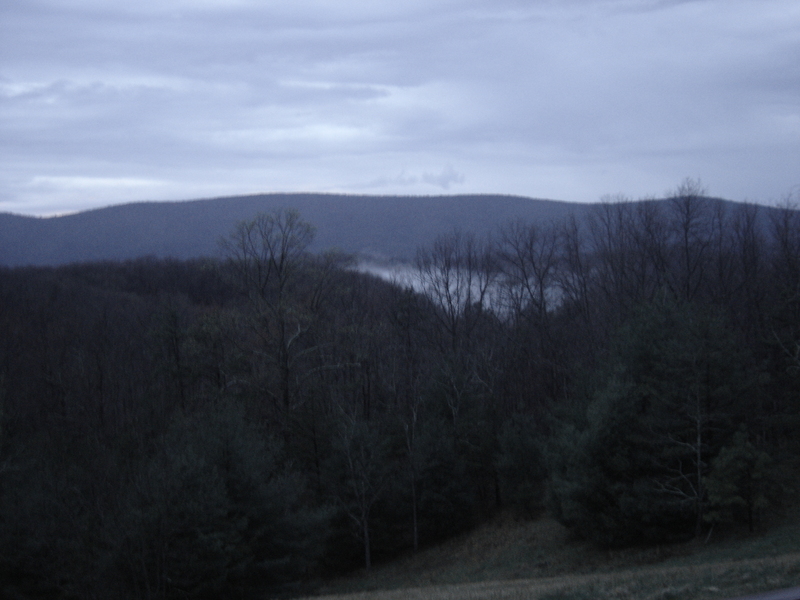 But it prefers cooler climates so we have planted ours in the higher elevation of the Virginia farm. The deer love it too, so our crop hasn’t been as bountiful as we hoped. It’s quite expensive to plant. It goes dormant in the winter, but in the spring, summer and fall, it is a gorgeous green like no other. I’ll try to post some pictures of it in a month or two. The horses do love that Alfalfa hay like candy! They will eat themselves sick on it. As kids we had to watch one horse who always tried to “disappear” into that hay barn if not watched for a secret nibble. As a picky eater kid, I could always tell which milk was from alfalfa hay fed cows…drove my parents crazy if the store was out of that brand. We do the same with our beach house (making lists. Things we need to do, things we need to buy and bring when we return….). Glad you managed to get back home before the storm hit! Hail is scary. Isn’t it crazy how we make ourselves nuts with the lists and the things to do. Whenever we go and just enjoy it, it is so nice. But that is rare. Whenever it hails my son and I run out and get pieces of it and put it in the freezer. My son has never seen snow so he feels the hail is the closest he’ll get to it. There is something quite amazing about it. He had a piece he kept for ages. It sounds like you did make it in in the nick of time, but what a lovely place you have to get away from it all! Our cabin has a tin roof, so when it hails there, it is really loud and scary. I hadn’t thought about freezing the hail. That would be awesome, especially to line an oyster platter with. I’ll do that next time. Still enjoyed it. I think I was relieved that a family of bears or raccoons hadn’t moved in to sleep in my bed. Glad you had a good weekend. You deserve it. Oh yes, the famous to do list. We are trying so hard to get our house up for sale so that we can make our final move out to the country…it seems like years away. There’s a LOT to do between here and there. I think we need a small army. Our storms are welcome bringing rain, and it seems the whole country has been affected…even my daughter commented that in Southern CA where she lives and it doesn’t rain that much, has had driving rain. How far out are you moving? We’ve moved a few times and I think I’m ready to do it again. Frankly, I’d like to move to Virginia full time. Nothing wrong with NC but the property we have there joins the Jefferson National Forest and the Appalachian Trail runs right below us. There’s so much to do and so many farmer’s programs. Plus the wildlife is spectacular. Even in the rain we saw herds of deer, turkeys and a hawk. It’s just peaceful. “we rushed to take care of the animals before the rain poured down.”- This line just shows how much you care about those innocent souls. It has been long time since you had given us a glimpse of Choco. What about one more post about him? I hope, the last photo was the view from your main door. It’s really beautiful. Thank you Arindam. 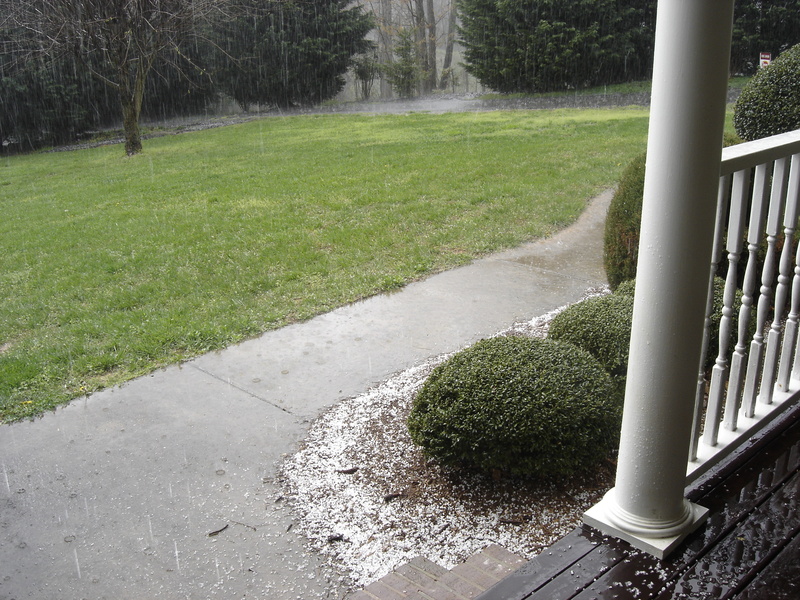 The last photo is from my front door, the one before of my back deck – both in North Carolina. The previous ones were taken in Virginia. I do love animals and especially those that depend on me for care. Choco is fantastic. He did get a stick in his eye and had to have some doctor’s care. Then we had a cream we had to stick in there twice a day. He was a doll about it. All better now. He is looking a little shabby right now though, as he is shedding his thick winter coat and ‘slicking’ off. I’ll get a picture of him in a few weeks when he is dapper looking. 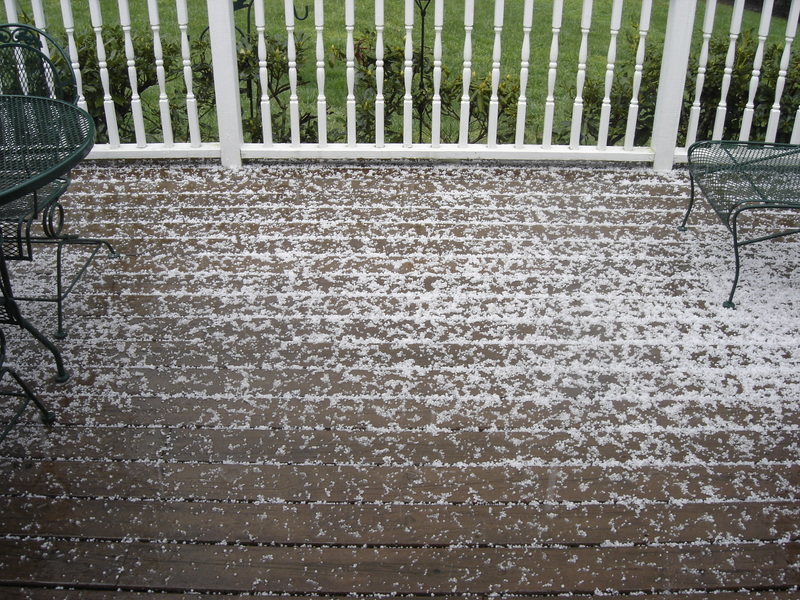 My kids love it when it hails, they get so excited. My weekend was great, although it rained a cold rain for two days (we went from 80 degrees to 40 in one day!) Today, it’s still yucky outside, and the kids are home from school, teacher staff day. We have the forts set up in the living room and I get to catch up on blogs finally! I remember forts in the living room. We used to take a couple of chairs and drape blankets over them, crawl inside with flash lights and tale stories or hide from the attackers – imagined of course. I love that your kids did that instead of playing video games. It is hard to go from 80 to 40. What a disappointment I must be to you, Renee: Last weekend – no hell, no high water. Just sunshine and that most lovely beauty sport of all: A rash (on my face). Pass me the Kleenex. I see your husband is the strong scientific type. The weather in my little part of the world was prematurely tantalizing…warm, sunny, 70 degrees, people gardening like crazy. Monday broke to rain and dank, low clouds. Looks like London-type weather today. BTW, are you a clerk or a carrier? Glad you had a good weekend. I settled on carrier after trying a few things. How about you? You can throw some tomatoes…I’m retired. 34 years as a carrier…no, 32 as a carrier & 2 as a clerk. Half that time was fun, the best job ever. The last half…hell. Sounds like an amazing place, Renee. I know there are always lists of things to do…chores that seem unending, but there is also something very peaceful about a cabin like that. There is a feeling that is hard to describe, but it’s a true sense of coming home. You wrote about it beautifully. Thanks for the nice read! Thank you Annie. It is peaceful and we live simply there. All the basics, and nothing else. Nice. I have a place in the mountains and each time I go there I brace for the unexpected. I have had my share of unwelcome surprises too. But it’s worth it when you love a place, isn’t it? Here in Denver we had 75 degrees and sun both Saturday and Sunday…..making for a perfect weekend. !How true Bella! It is worth it. Glad you had a good weekend and the weather cooperated. We have had interesting weather here, our March normal high, so far, is 18 degrees above normal. Quite incredible. The first time I have worn sandals in March at home…ever. You have had hail and high water and I have had nothing but sunshine when we should have had snow and ice. We’ve had warmer than normal temps as well, which is probably what spawned all of this violent weather. There have been tornadoes in surrounding areas and we are often under a watch, which is unusual as well for the foothills of the Blue Ridge Mountains. At least you have gotten a break from the snow and ice. 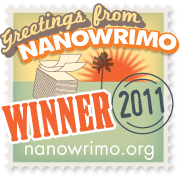 WritingFeemail, I enjoyed your post as always. Sounds like quite the storm. For hail to show up in a photo means it was quite ferocious! 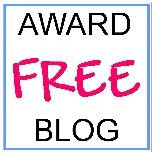 I’m sorry I made such a disappearing act some months ago and have not visited here or on other blog sites I visit. I deeply appreciated your checking in on my blog site. I have done no work on my little homestead/schoolhouse project for some many weeks (a few months, actually) because my family situation has been so demanding. My mother died a month ago, and the months prior to her death were very difficult (for everyone). I did not enjoy a good relationship with my mother, so this period of time has been extremely stressful. My work on my project just had to take back seat for a while. I am currently up to my eyeballs in stuff I’m doing myself and stuff I’m having done on my current home, getting ready to put it on the market. So, life’s just been a bit much here lately. At any rate, I am finally feeling more like myself and beginning to get some ducks lined up so that I can get back into the “swim” of my project on my new land. I look forward to reading and commenting on your posts again. I may be a little slow. But I’ll get there. Again, thanks so much for checking up on me. I am so sorry that you have had a rough few months. It can’t be easy to lose your mother even if the desired relationship wasn’t there – maybe especially so. Thank you for sharing this update. I have been concerned, but glad to know that spring is bringing you a little sunshine and a new perspective. I’ll keep a good thought for you. Renee, love your photos and your clever, catchy title. Sounds like you had a bit of an adventure. Thank goodness, no vermin. Those creatures terrify me. My reaction to the hail was nothing compared to what it would have been had we been faced with vermin. But when we’ve been away that long, it is likely. Thank goodness we escaped that trauma. Sheila, you are probably ready to just curl up at home. Are you still on your big adventure? The last time I heard from you it was from a cruise ship – lucky girl. You know how to kick spring off right! Yes, we have a little more time off before going back to the salt mines! No, that’s not fair…daily work isn’t that bad, at least for me. For my husband it is very draining. We are choosing to live on less to have more time for sanity, which, as our kids are grown, and we are pretty basic in our lifestyle, (except for travel!) we are able to do. Just a different way to work/live! Thanks Wendy. We do have lots of good memories related to that little cabin and corner of the world. Ahh…. Ouch! Definitely a ride to remember. Our hail was pea sized but we heard of areas that had hail the size of golf balls and even baseballs. That could kill a person – or a horse. Nothing like a spring storm! Your cabin chores sound heavenly….funny how the same stuff may need doing at “home”, but the cabin work is always more fun. It’s easier to focus there for sure. At home, there are so many other demands that interrupt progress. That is weird. But then, the weather’s so unpredictable now. It feels like a mood. Cold one day and hot the next. Then crying (raining). I’ve seen enough Dr Phil to know the weather’s going through menopause. You are a hoot Totsy. That is exactly what it’s like. And if we piss Mother Nature off, she throws ice balls at us! Can we get her some prozac? Glad you got home safely. Sometimes it is more effort to try to get away, isn’t it? But when the weather is nice, it will be a pleasure to be outside to work on and around your cabin–without the distractions of everyday life beckoning.